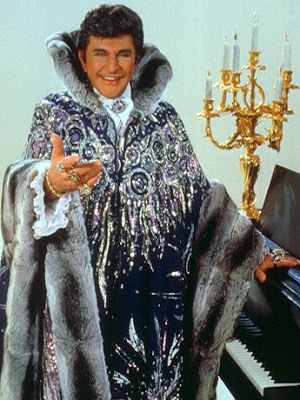 Perhaps today it should be Flamboyant Food Friday because our recipe comes from the always flamboyant, Liberace. 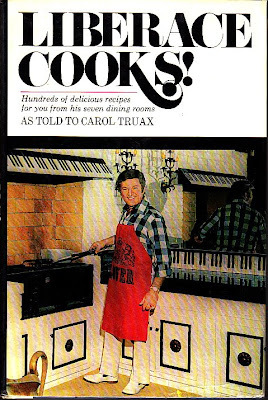 Liberace had to write a cookbook because he had a lot of recipes to cook in his seven dining rooms. Seven dining rooms! 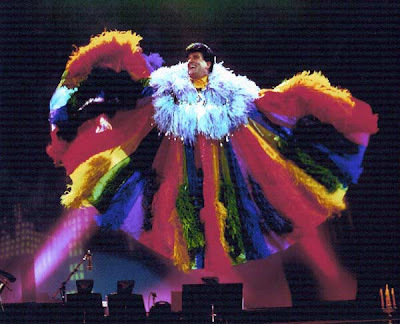 That’s flamboyant. 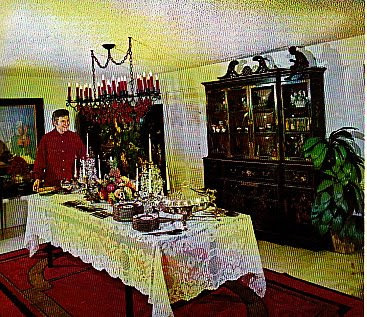 One wonders how many bathrooms were in the house if it had seven dining rooms. OK, there is a formal dinning room, informal dining room, eat-in kitchen, loggia, barbecue and a couple of more places to entertain. Like the TV dining room, below. Liberace's mother was Polish and his father Italian. Liberace and his brother, George, and his sister, Angelina, all played the piano. George gave it up for the violin, Angelina gave it up for a husband, but Liberace – he continued to play. Since his mother worked, he also did a good bit of the cooking. 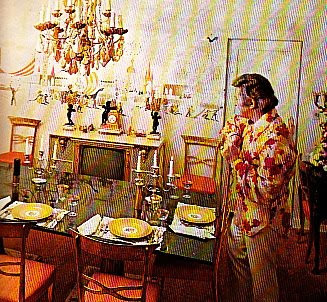 Here is Liberace's riff on his mother's potato cakes. Peel the potatoes and put them through a sieve or ricer. Mix slightly beaten egg yolks with the milk, nutmeg, and salt, and mix with the potatoes. Beat the egg whites until stiff and fold in. Fry in butter on a griddle.